In a characteristic but no less ridiculous trend, Mr. Peck has redirected his anger about hats and cell-phones to the students who cover said issues. Mr. Peck, who we all know has a thriving and shade-filled twitter account, @realPhilPeck, has been criticising our paper all year. 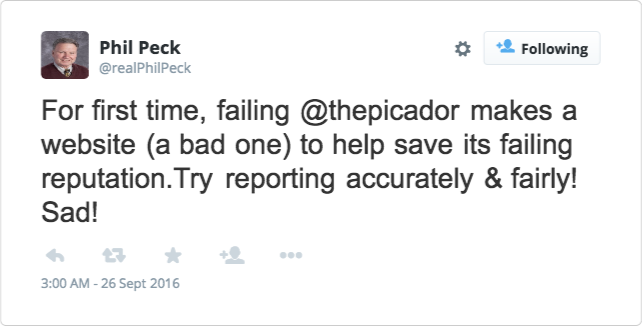 “For first time, failing @thepicador makes a website (a bad one) to help save its failing reputation. Try reporting accurately & fairly! Sad! *” he tweeted at 3 am the night after The Picador debuted this fall. 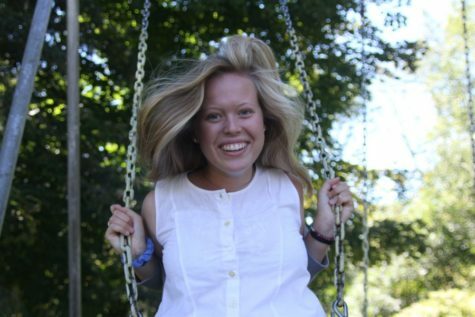 A few weeks ago when the school’s hat and weekend policies were questioned by one of our writers, Peck responded, “Just read the totally biased and fake news reports put out by @thepicador. Such disgrace. Saturday classes are great, the most productive day of the week, and anyway hats inside are for losers. *” The next week a piece about where tuition goes was published. 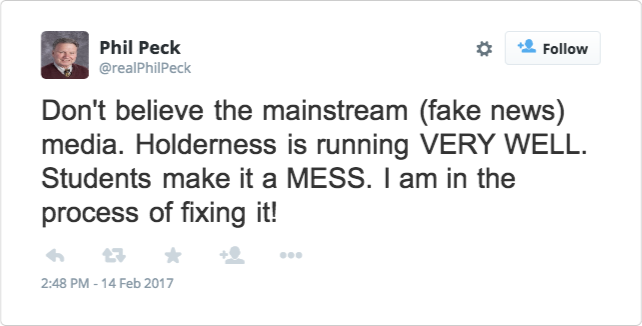 Mr. Peck took to twitter immediately, in the middle of assembly in fact, to say, “Don’t believe the mainstream (fake news) media. Holderness is running VERY WELL. Students make it a MESS. I am in the process of fixing it,*” and continued on saying, “The failing online Picador should spend less time focusing on our school’s money. I am a brilliant businessman. I have the best people. 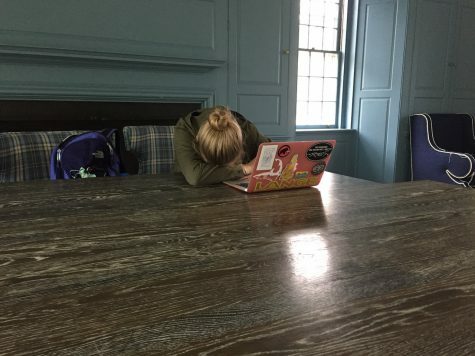 Our budget always puts #holdernessfirst*” People began to wonder if our head of school, in fact, reads the full articles because the budget piece was full of praise. In wariness of further backlash, The Picador focused its last issue on events “outside the bubble” to keep the tempered Peck at bay. But the rampage had begun. During assembly on revisit day last week when the current events team presented, Peck ripped the mic from Tory Dobyns’ hand and and said, “YOU’RE FAKE NEWS.” He even started giving all the visiting families red hats that said “Make Holderness a Caring, Curious Community Again!” (though of course they were asked not to wear them inside). As a completely unbiased media outlet, we reject these comments and assert that our readership has never been higher. We even have extended our audience as far as Colorado. *starred tweets adapted from @realdonaldtrump. See tweets from dates 2/26/17, 3/23/17, 2/18/17, 3/17/17, 3/29/27 respectively. Hi, I'm Cat McLaughlin. My watch tan is my biggest accomplishment.